Chop up the dark and white chocolate into small pieces (keep in separate piles). Using a double boiler, melt the chocolates in separate bowls. Stir until smooth. Stir the kief into the dark chocolate until it dissolves into the chocolate. Remove the chocolate from the heat. Line a baking sheet with parchment paper. Dip the strawberries into the dark chocolate and set on the baking sheet. 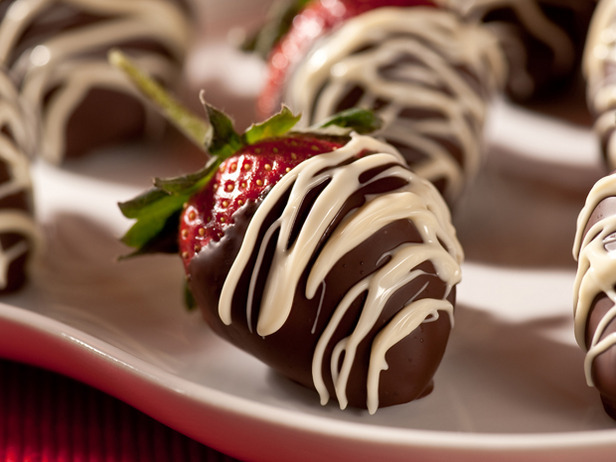 Dip a fork in the white chocolate and drizzle the white chocolate over the dipped strawberries. Note: Decarboxylate your keif by spreading on a parchment lined cookie sheet and baking at 200° for about 20 minutes. Great combo of strawberry and chocolate…. Something different to taste. Thanks! If you sprinkle a tiny bit of coarse sea salt on them while the chocolate is still warm, it is quite a nice salty pop!